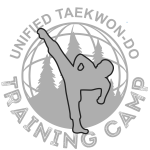 If you would like to host a Unified TKD event, complete this form to submit a request to Unified Taekwon-Do headquarters. Event Date(s) (required). Note: For one day events, put the same date in both fields.